Dinner Show Package price is $75 plus ticket price! 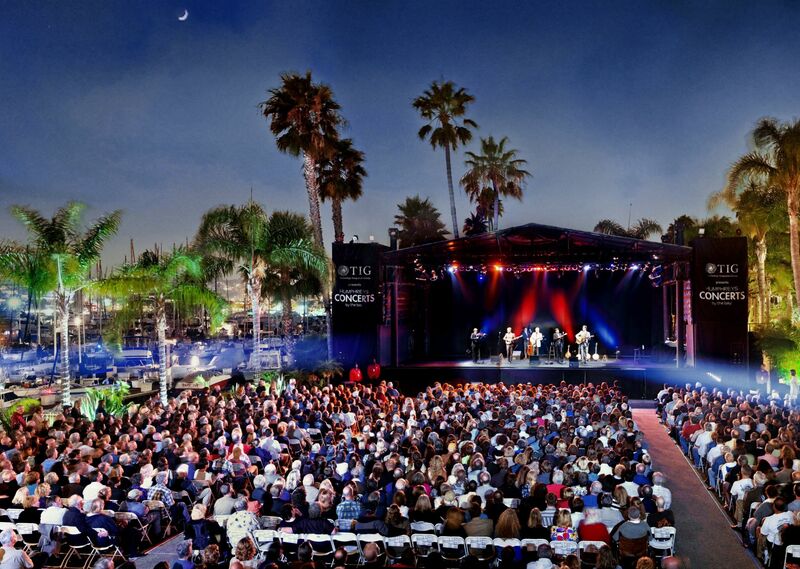 Enhance your concert by adding a fine dining experience at our hotel's award winning waterfront restaurant Humphreys SoCal Dining & Music. Indulge in the best of modern global cuisine selected from a specially crafted dinner show menu. Afterwards enjoy a vibrant evening in our beautiful outdoor concert venue. Choice of dessert made in house by our Pastry Chef. The menu changes frequently and includes seasonal specialties such as Grilled Canadian Salmon with Pecarino Romano Risotto and Port Wine Sauce, Cedar River Filet Mignon with gorgonzola-potato gratin and tempranillo demi-glace, Seared Alaskan Halibut with Herbed Basmati Rice and Basil Butter Sauce.